I finally got my block to the post office and mailed off. Between vacation time and being out-of-town for work this has been a hectic month. 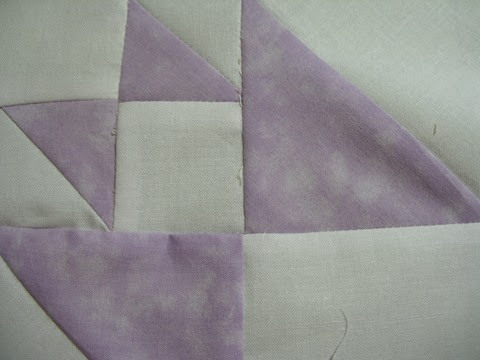 Here is a sneak peak of my block for my partner who loves purple. Sneek Peek for Donna P.